Will is worried about the show ratings after his incident at Northwestern. Maggie ruins a huge potential interview hours before the news goes live. Mackenzie employs a new strategy that the newsroom is to abide by. Will tries to “carry” a makeshift interview and then attempts to revise a Republican’s quote to keep his ratings up in that demographic. Mackenzie urges Will to follow suit with her plans and to become the “leader” she knows he can be. Ratings Whore: I guess, in a distant Utopian galaxy it would be commonplace to think that accurately processing and delivering the news would drive ratings. But this is America, dammit! Land of bias and perspective. I understand Charlie sticking up for Will and his ability to remain the “good guy” when it comes to network politics but I don’t understand Will’s approach. Going out of the way to try and translate another, all too common, Sarah Palin gaffe and make yourself sound foolish in the long run. And for what? To make sure that you don’t upset the Republican apple cart for one day? If anything, Will should have left it out of the broadcast in general. You can’t follow up that train wreck of an interview with another catastrophe. From this point forward listen to Mackenzie when she repeatedly screams “Dump it!”. Maggie, the Cowardly Co-Ed (cont. ): Really, Maggie?! Who stays under the bed?! You have to get up during the sexing and slap someone on the a$$! At least? But anyway, at this point I’m not afraid to admit that Maggie is my favorite member of ACN. She is smart, witty, and opinionated but she has been thrown into a completely pressurized situation and is obviously overwhelmed. I’m usually indifferent when it comes to the “underdog” story but I’m all out rooting for Maggie in this one. As long as she gets free of Don before Jim grows weary from his failed efforts. chevy chase is staying put! 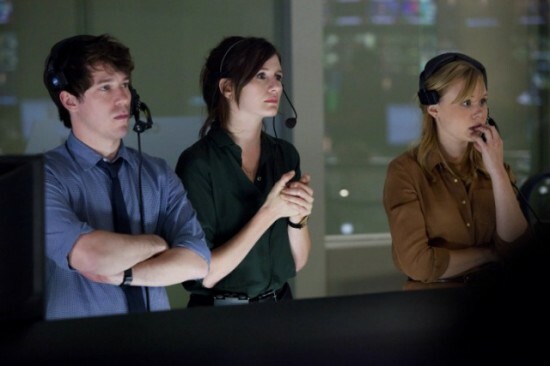 Want another reason to stay tuned in to your favorite show–on NBC at least? 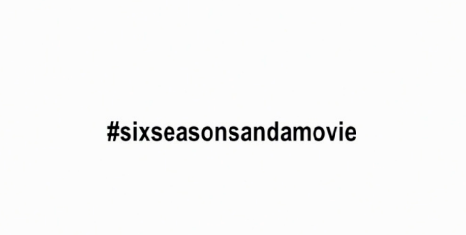 Chevy Chase;s contract has been renewed for another season of Community! Check here for more sweet deets! Puck gets a second chance to pass his test for graduation. Rachel, Finn, and Kurt get their acceptance/rejection letters. 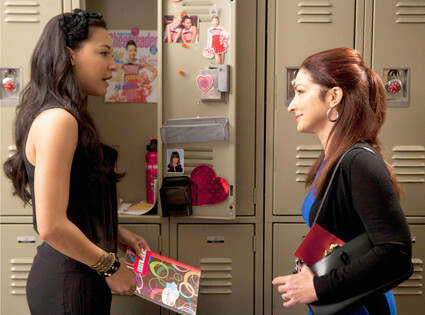 Santana struggles with what she is going to do after graduation. Blaine and Kurt are anxious about their (potential) long-distance relationship. Maybe Next Time, NYC: For Kurt and Finn at least. Finn was rejected from Inside the Actor’s Studio and Kurt didn’t get into NYADA. After reading about characters returning I thought Rachel and Kurt weren’t going to get accepted into NYADA immediately. But it seems as though most o the graduating seniors will come back to the show in some facet. It would be strange seeing Rachel in New York interacting with completely different characters all on her on…the same goes for any other character that leaves McKinley. It seems like a bit much to try to maintain a main storyline when it has to be broken up in such a manner. Santana Seeking Stardom? I have long thought that Santana has the most vocal range of any other member of The New Directions and it only makes sense that she is constantly questioning why she is usually second fiddle to Rachel or Mercedes. With the help of her selfless mother, Mirabel (Gloria Estefan), Santana is going to get her shot a New York too. Of all the pairings that can take place outside of Lima I think that Rachel and Santana in New York is an almost perfect fit. They are, and always have been, the best of frenemies–not counting everyone being nice to each because they’ve been through so much together, and they’re graduating yadda yadda yadda–and I think they would make an interesting storyline together. The New (Look) Directions: Artie, Rory, Sugar, Joe, Sam, some Asian girl, and Blaine are all that is left to carry on for next year. They have: strong male vocals, no strong dancers, and no female vocals at all. Are they still running with that whole Sugar can’t sing thing? Because I can’t un-hear this. Then that just leaves Tina…time to recruit! Forever Young – Mr. Schue (A) Although this wasn’t a rap, as Quinn requested, it definitely turned me into a “hot-mess teary train wreck”. Damn you Schuester and your penchant for having performances that tug at the heartstrings! Single Ladies – Burt, Tina and Brittany (A++) In terms of sentimental value, this was an amazing graduation present. 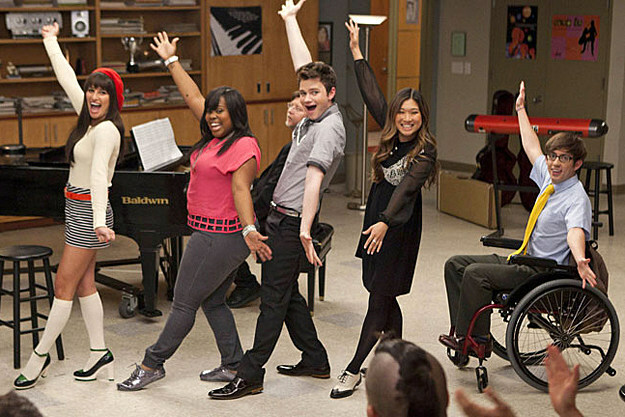 As a performance, coupled with the flashback to Kurt, it was an amazing reminder of the earlier Glee days. I wonder how long it took Mike O’Malley to learn those sweet, yet slightly stiff dance moves. I’ll Remember – Kurt (B) This performance didn’t really stand and it wasn’t because Kurt’s voice wasn’t it’s usual amazing falsetto. I think it lacked the emotion I was expecting from every moment of this episode, which might have been an unfair standard. You Get What You Give – New Directions Seniors (A+) Initially, I couldn’t decide if I loved Finn’s almost overly enthusiastic intro or hated him for being annoyingly enthusiastic, but all that stems from me being unsure of how I feel about Finn. Mercedes and Quinn insisted on wearing those awful awesome hats and Puck found it the best time to break out the moonwalk. But none of those things really took away from performance. By the end, the torch had been passed to all the non-seniors…another moment for a tear or two. In My Life – New Directions Non-Seniors (B) These are the voices we can get used to hearing next year, and honestly, they sound really good. There’s not a Rachel Berry in the bunch of ’em, but still, it’s definitely a strong group. However, I didn’t appreciate that this song was dedicated to Finn….and only Finn. Glory Days – Puck and Finn (A) I owe the show’s producers/writers/whoever a huge thank you. I just knew watching the seniors graduate would make me cry, but instead they made this the oddest graduate ceremony and I spent much of the performance thinking about how annoyed the other students must have been at New Directions stealing their moment, especially since everyone knew Puck barely graduated. However, we don’t watch the show for the other students, so in that respect I suppose it makes complete sense. Roots Before Branches – Rachel and Finn (A) This whole performance was just perfectly done. The lyrics (“I gotta have/roots before branches/to know who I am“), although bittersweet, were incredibly fitting and it was so Glee that everyone showed up to the train station to tell her goodbye. Finally, Finn gave me a reason to like him again and Rachel didn’t pull a Mary Tyler Moore hat toss after she got off the train. Jeff seems to be the only one in the study group concerned with passing his biology course. Shirley and Pierce get into a battle over Shirley’s sandwich shop in the cafeteria. Pierce hires Jeff’s former colleague Alan (Rob Corddry, Children’s Hospital) to help him win his case. Shirley gets Jeff to help her side of the argument. Evil Abed escapes the Dreamatorium and is on a mission to make things more like “his timeline”. Troy “misses his friends” and is trying to find a way out of the A/C branch of Greendale. Maybe I’m old-fashioned but I was expecting another paintball fiasco as the season came to a close. The Changlorious Bastards v The Greendale Seven. Doesn’t that just sound like massive amounts of yes? Bias aside, I thought the eppy was solid. 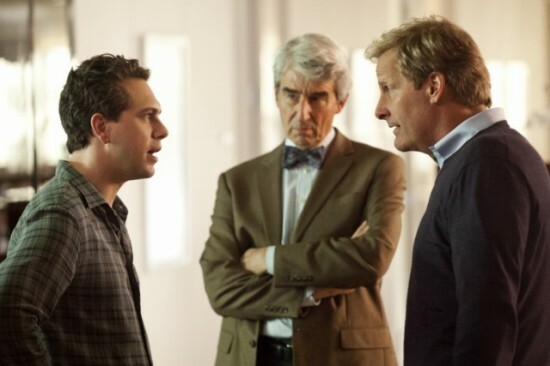 Nothing too spectacular or over the top–besides Vice Dean Laybourne being murdered and Abed trying to dismember Jeff–but I appreciated the story nonetheless. I also like that we got several teases for the beginning of next semester. The Dreamatorium lives!!! “Scouts honor, Sinead O’Connor.” I’ll be putting that one to good use. Soon. How long does it take before your innards melt at 145 degrees? I would have fainted at 93. Easily. 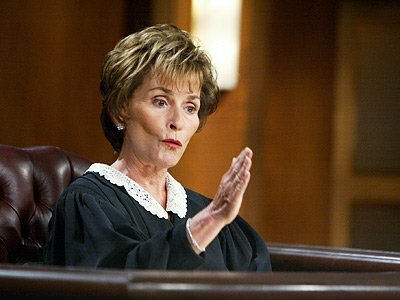 The Dean consulting the court room to decide on going with contemporary Amy from Judging Amy or the classic Judy from Judge Judy. Why didn’t Britta tell Jeff that Evil Abed was out to cut his arm off? 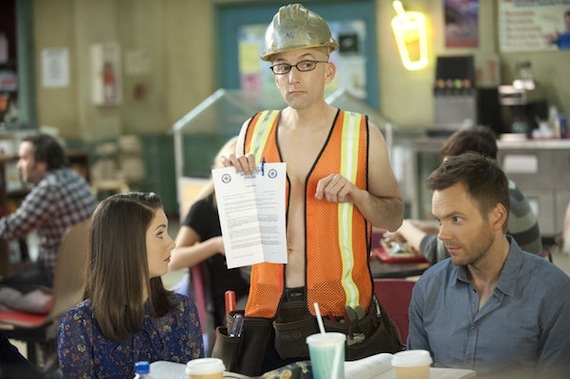 It seems as though Dean Spreck is planning another attack on Greendale. Are Britta and Troy going to room together? Star-burns faked his own death, maybe now Pierce will get his comb back. Wait, no he won’t. You’re right Leonard. “No such thing as bad press.” Especially at your age. Burn!